Just Book Talk: Mad: Mad, Bad and Dangerous to Know Trilogy, Book 1 by Chloé Esposito, Published by Penguin. 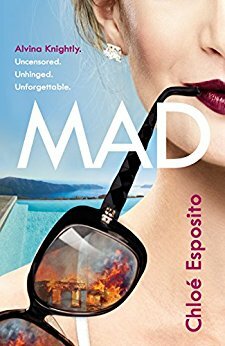 Mad: Mad, Bad and Dangerous to Know Trilogy, Book 1 by Chloé Esposito, Published by Penguin. Wickedly dark, thrilling, and hilarious, 'Mad' is one of the most entertaining reads of the year. I can't wait for the rest of the trilogy to be released in 2018.